Hi, I’m Emilie Stone, and I make energy products in Boulder, CO. I love thinking about electricity: how to use less of it, how to produce it and how to get it to everyone. I currently lead product development of Tendril's Orchestrated Energy platform, which helps utilities manage demand and customers conserve energy. I previously spent four years leading the lithium-ion battery division for Methode Electronics. Before that, I worked as a design engineer at Toyota and at the Special Vehicle Team of Ford. 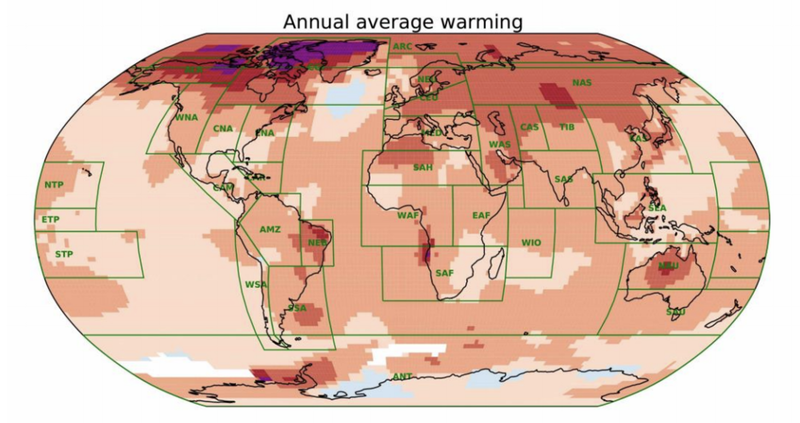 IPCC REPORT - The latest IPCC report suggests that we are on a trajectory for a 1.5C temperature increase by 2050, resulting in global crises around water and food access, air quality, and poverty. Jigar Shah, the self-proclaimed financier of the Resource Revolution, argued that the report was dropped like a dead fish on the world, with dense, undigestible language that would never reach the ears of the non-energy wonk population. So how do we make it more approachable? How do we create opportunities for funding and action? I have read several articles about it but am finding myself drawn to the source, as I also don’t understand how I am supposed to act on this information. If a tree falls in the woods and people only faintly hear it, does that matter any more? 2018 RESOLUTION - GET INVOLVED - I made a vow after the 2016 election to get more engaged in my community and avoid feeling helpless/hopeless. For 2018 I want to continue that trajectory by learning more about local and state politics and chipping in for initiatives I find important. In that vein, I attended a town hall put on by the Colorado Renewable Energy Society featuring State Rep. K.C. Becker and State Senator Steve Fenberg. They gave us a rundown of the renewable docket for 2018 and some great advice on how to make a difference. Check out my rundown here. NEW YEAR, NEW JOB? - With a new year upon us, perhaps you are looking for a career change also. Having recently gone through the job-search process myself (in a less voluntary fashion, unfortunately), I took some time to reflect on what worked and how to stay motivated. Check it out. ENERGY PRICING - I have been doing a lot of thinking about how to reduce greenhouse gases in a universal way. Renewable energy, EVs, etc. are effective, but require an up-front investment that many people either can't or won't make. However, changing the way we use and pay for energy is an approach that reaches every one of the 125-million households in the US. Learn more about a possible pricing scheme and how it can benefit utilities, customers and our environment here. DENVER STARTUP WEEK - Denver Startup Week just wrapped up and it was a whirlwind! It was a great chance to learn, catch up with old friends and make new ones, and see more of what Denver and its tech scene have to offer. I attended a number of sessions on topics as diverse as virtual reality to carbon fiber recycling. Aside from a maybe a few lbs from the endless supply of free food and adult beverages, I have a few takeaways that really resonate with me. You know those clients where the project or relationship ends on kind of a bad note, where things didn't go quite the way either of you would have wanted? Call them. It sounds counterintuitive, but you are a known entity. Even if they are unhappy with you, they know what they are getting versus having to work with a stranger. Obviously you then have to execute and erase that ill-will, but if you do, you may have one of your most loyal customers. None of us want to have unhappy customers, but this advice to just own up to what went wrong and have the confidence to go back to the well and try again is a perspective shift for me and ties in well with the general notion of confidence in sales. 2. On the Awesomeness of the National Labs, from NREL - I attended a couple of sessions put on by NREL and was really surprised at all the stuff they and other DOE labs do. Did you know NREL multiple programs and grants to foster entrepreneurship? A couple of participants in these programs presented and I was encouraged to see investment in long-term design initiatives like building an entire green apartment complex. Did you know that NREL has boatloads of DOE data and open-source APIs to help you access that data? NREL is really embracing the mission to make energy and transportation resources easily accessible to foster innovation and promote change. The fact that we have this unbiased, public resource available to us is pretty amazing. 3. On Inspiration for Entrepreneurship, from Doug Campbell of Solid Power - At a panel on solid-state batteries, which Doug's startup makes, he was asked about how and why he decided to start a battery company. "I am not a technology guy. I chase opportunity, a problem, and then I use technology as the solution." There is a subtle distinction in identifying the market pain first rather than having an interest or aptitude in the solution in need of a problem, but it is an important one. It is a new way to restate the Theodore Levitt quote, "People don't want to buy a quarter-inch drill, they want a quarter-inch hole." Doug's response may seem obvious, but is far more practical to me than the trite "follow your passion" mantra. SOLAR POWER INTERNATIONAL - I recently attended SPI 17 in Las Vegas. While I continue to have an aversion to Vegas, the show was fantastic. The sessions were actually educational and the exhibitor list was massive (disclaimer: I did not get to attend any of the workshops, but heard good things about those, too). One of the more insightful and exciting conversations I had was with the folks at Kevala. This company offers an analytical tool that helps identify the most cost-effective and/or productive places to install solar and then assess the impact of that installation. They are even working to include energy storage, which is near and dear to my heart (Team Battery!) Their data sets definitely vary by state and municipality, but includes some really interesting gems. For example, in Vermont, they have every single transmission line, power plant, substation and solar installation overlaid on land survey plats complete with ownership. Clicking on a plat shows you ownership of the plat, available footprint for solar and potential value of generation at that site. 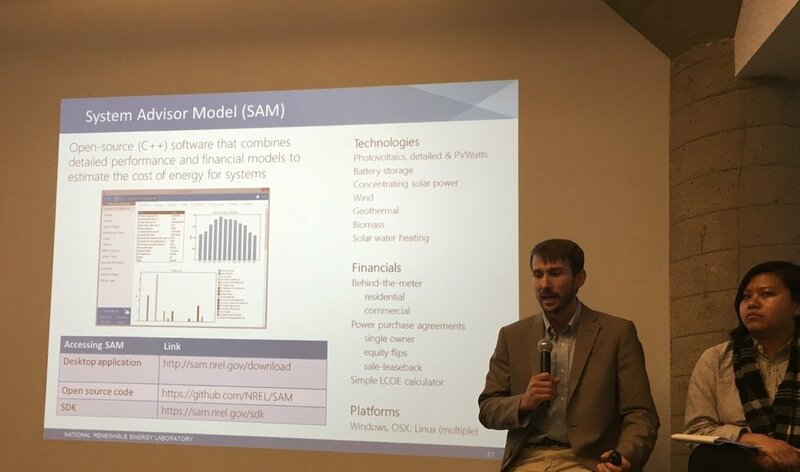 I am thrilled to see this type of data-wrangling in the energy sector, as I think it will give smaller co-ops, municipal utilities and individual property owners better tools to craft renewable programs. I look forward to seeing them grow as they incorporate more and more data sets. 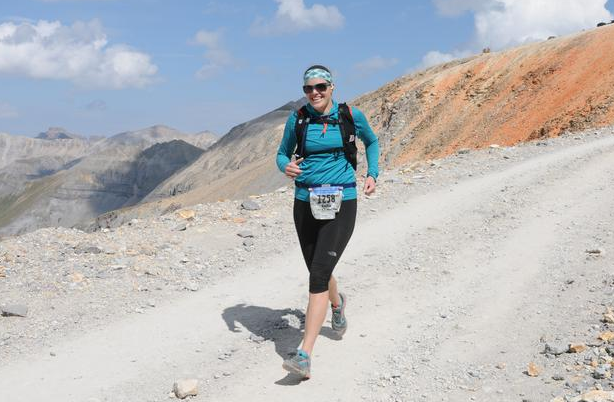 IMOGENE PASS RUN - When I first moved to Colorado a family friend living in Telluride at the time told me about the legendary Imogene Pass Run. Originally based a bar bet between some locals, the IPR course takes runners from Ouray to Telluride via a 17-mile, 5k' vert slog over the 13,114' Imogene Pass. In spite of a number of long runs in mountains, I was not prepared for the grab bag of ill-effects of altitude. However, it was a beautiful course with a great local vibe and I am so happy to have done it. PEAK SHAVING AND MONEY SAVING - Energy storage has just been deployed in Arizona for the express purpose of smoothing peak demand. From mitigating the duck curve to demand-side management, I see some exciting opportunities for energy storage both in utility-scale and behind-the-meter. WHAT DOES A KILOWATT-HOUR ACTUALLY COST - Funding for solar is widespread but is lagging for batteries and energy storage. Here are my thoughts on how monetization is staving off investment. BATTERY NEWS - I wrote an article for Medium on the role lithium-ion batteries are playing in new and alternative-grid infrastructure projects. CIO REVIEW - Methode was named as one of the 20 Most Promising Data Center Solution Providers of 2016 by CIO Review magazine. Read more about what we're up to here. GREEN GRID FORUM - On March 8th and 9th, I attended the Green Grid Forum in Seattle. Green Grid is an organization of folks working directly or indirectly in the data center space working towards understanding and improving the "economics of sustainable IT." They are perhaps best known for originating and developing the concept of power usage effectiveness (PUE), which compares overall facility power consumption to that of IT equipment, i.e., how much air conditioning and lighting does it take to provide on-demand cat videos. Every facet of the data center was represented at the forum, from liquid cooling to power generation to the servers themselves. With some estimates suggesting that 5% of US electricity is used by data centers, the need to improve efficiency and reduce consumption is quite urgent. It was both inspiring and invigorating to see the progress being made, particularly in footprint reduction and renewables integration. Now I just need to figure out how to crank out new batteries more quickly so I can be a part of the solution, as well! MARY BARRA AND THE BOLT - Wired just produced a great article about the new GM Bolt, the first true American mass-market EV. The coverage gave kudos to former head of product development and now CEO of General Motors, Mary Barra. Related: Harvard Business Review's disheartening but compelling write-up on the Glass Cliff. As a female automotive-enthusiast engineer, I am certainly rooting for her to buck the trend.